SingleParents.org.uk is the legacy of the hard work invested by a dedicated team of professional single parents and volunteers at Single Parent Action Network (SPAN). The website SingleParents.org.uk was born in 2008 and has supported thousands of single mums and single dads nationwide with every aspect of singleparenthood from coping with separation and/or divorce, understanding Court procedures, surviving domestic abuse to sharing parenting ideas, information on work and benefits and so much more! 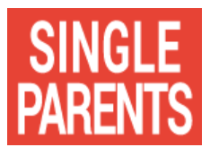 SingleParents.org.uk brings together essential information, expert advice, interactive learning, multi-media content, links to other support organisations and news for anyone who is parenting alone. We aim to be the first port of call for single parents online, providing information, support or signposting to relevant services and a lifeline for everyone who is doing the hardest yet most important job, parenting alone.